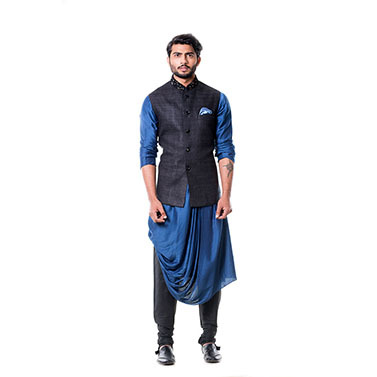 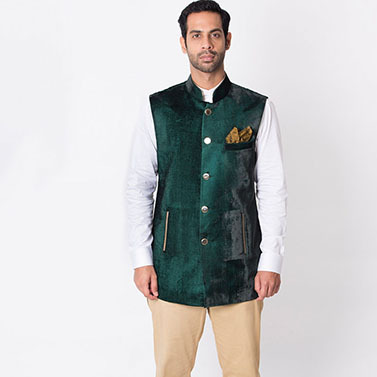 This piece consists of kurta,churidar and jacket. 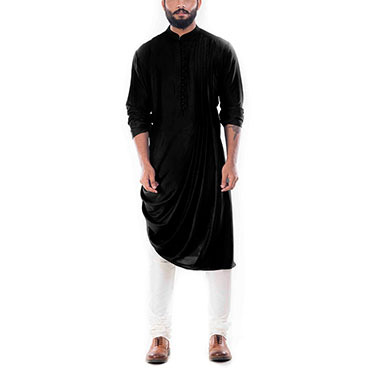 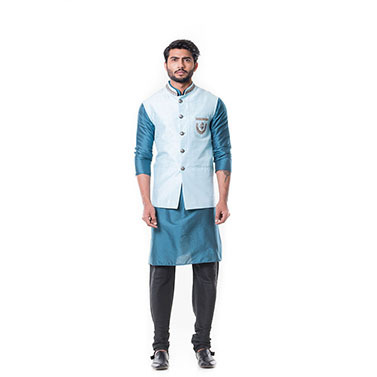 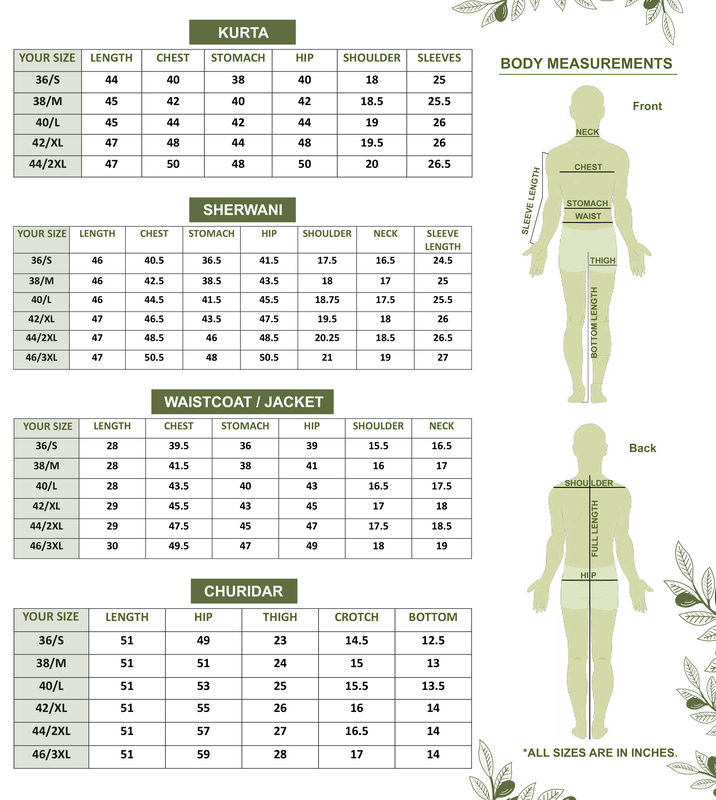 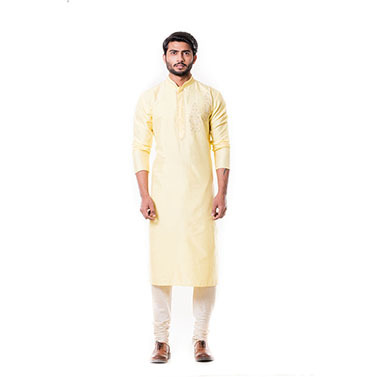 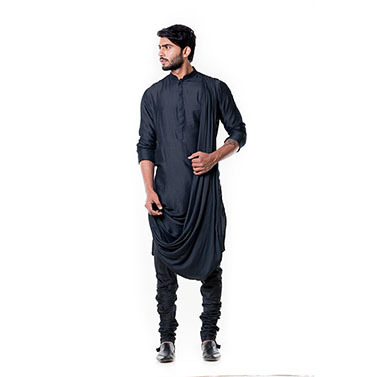 FULL LENGTH: The full length of the kurta is 45" and the full length of the jacket is 28".WASH CARE INSTRUCTIONS: Dry clean only.Steam iron only.Do not wash(Possibility of slight colour variation). 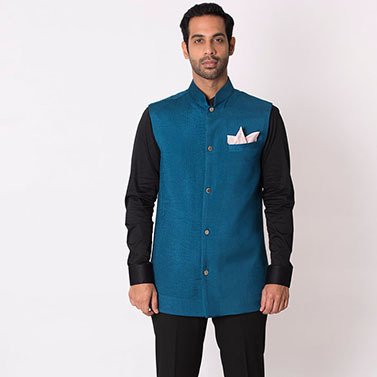 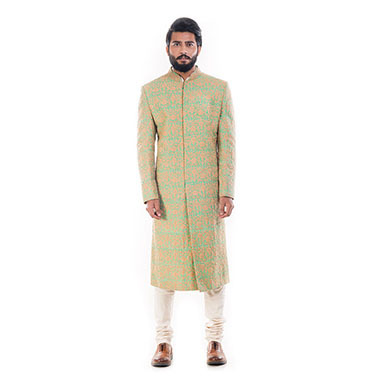 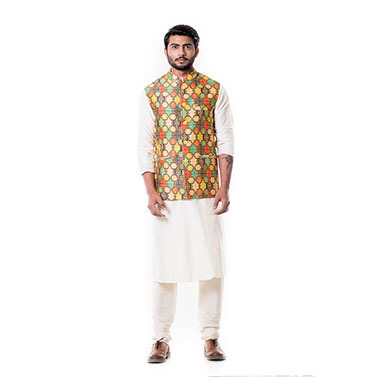 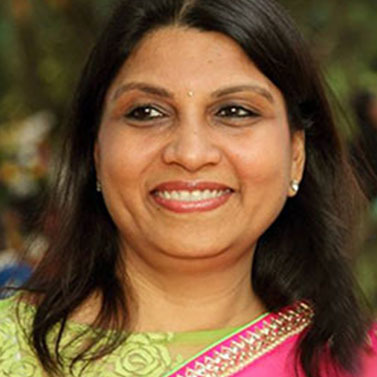 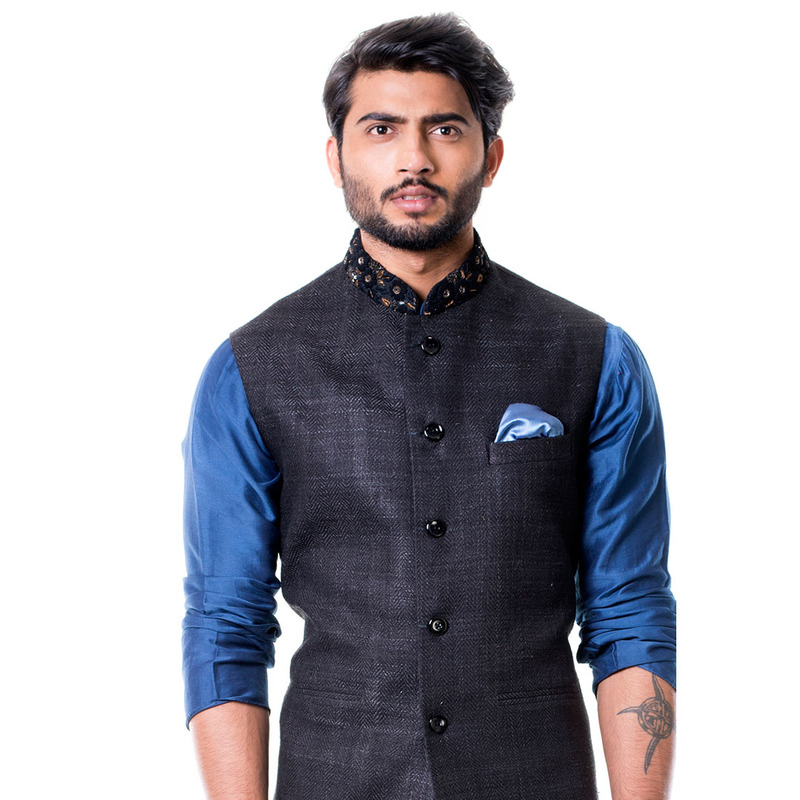 Material - The kurta and churidar is made of mysore silk and the jacket is made of raw silk. 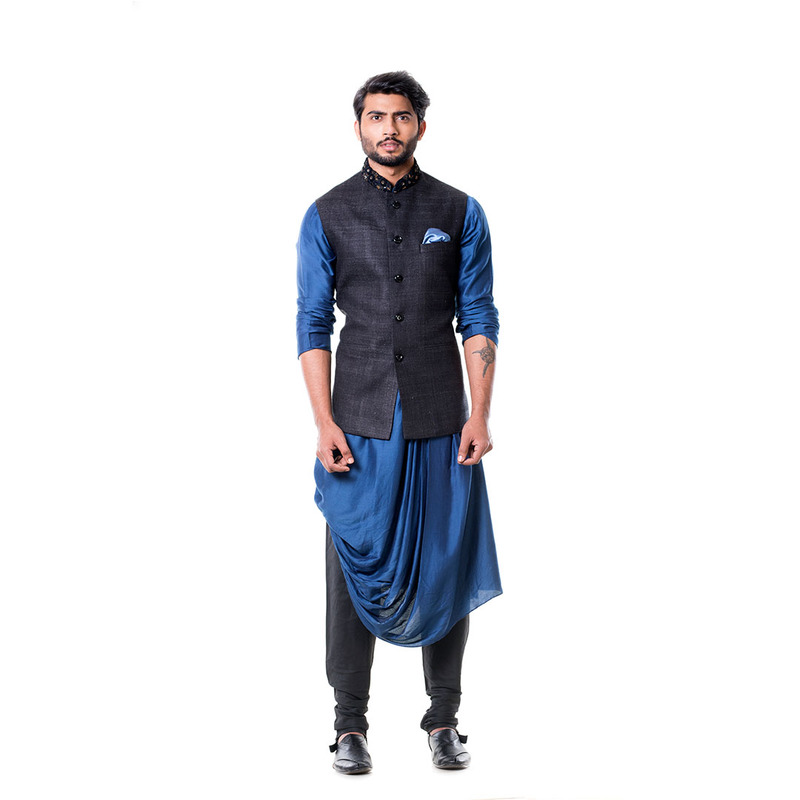 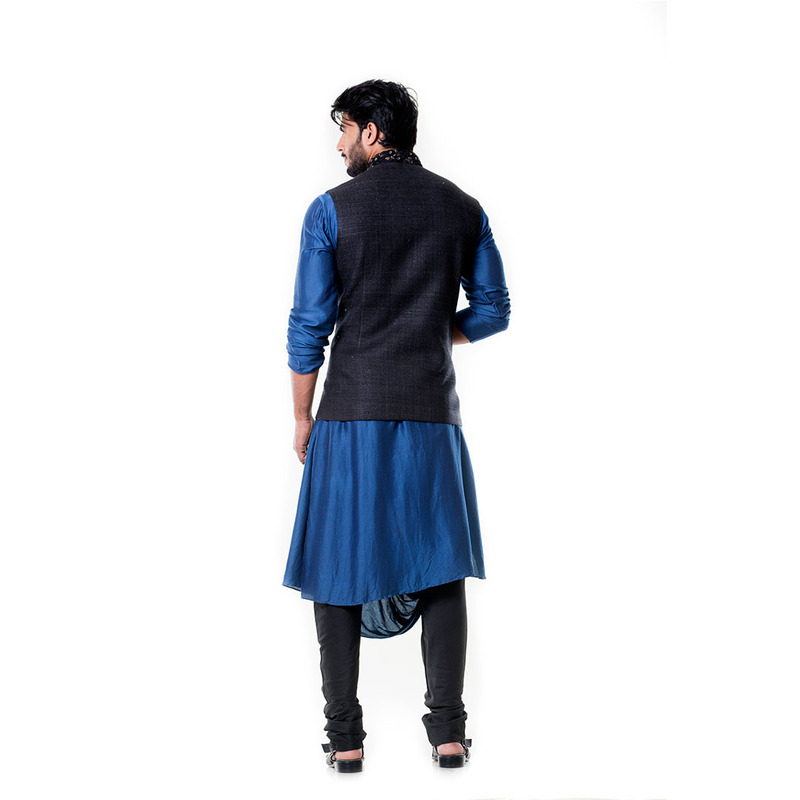 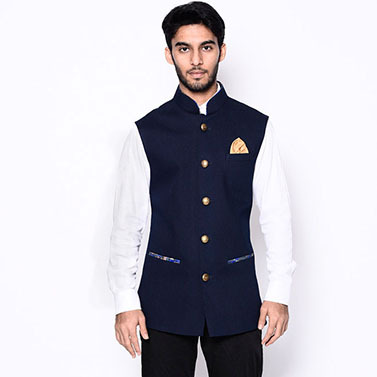 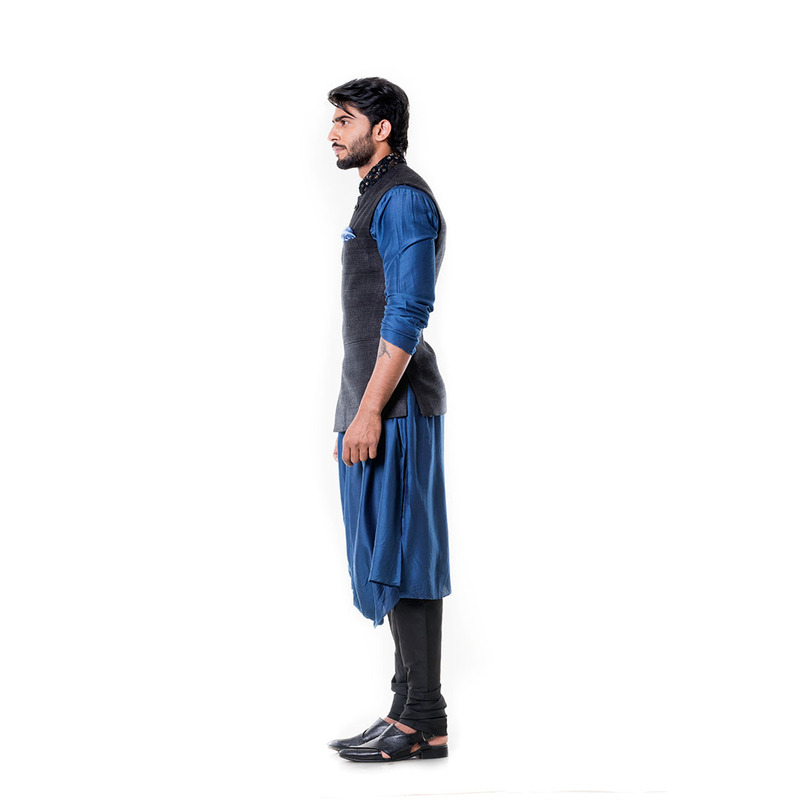 Work Detail - Featuring a Blue Cowl Kurta with BlacK Waist Coat embelished with intricate hand embroidery on the collar.